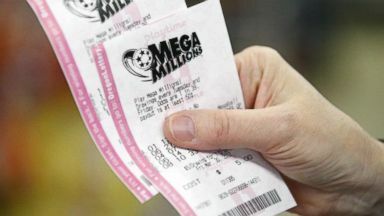 The Mega Millions has reached $1.6 billion. On a much lighter note it is time to talk about Mega Millions mania hitting the whole country are made it was a colony to billions. I never record. One point six billion dollars that is that the jackpot is now just waiting for winner ABC's GO Benitez. Is in Atlanta with a behind the scenes look at tonight's drying GO. Hey they're Diane we are here in Atlanta Georgia this is the Mega Millions studio this is where all go in down tonight. For that Mega Millions drawing and I want to show you that. Because they've got these machines going here and it turns out. These aren't the only machines because a lot of people wondering what what's the security like. Well there are other machines like get these may be used tonight they may not they're gonna be chosen at random before tonight's drawing. And defense the mega ball those are also going to be chosen at random. Before the drawing an auditor has been gonna come and he's gonna come in and look at the FB Mecca balls and make sure that they haven't been tampered with going to be inspecting that. Just make sure that everything is secure and this particular building is under when he 47. Surveillance before that drawing at at all times to make sure that nothing has been tampered with because. Remember we are talking about a lot of money at stake. One point six billion dollars right now if you take that lump sum cash payout. We're still talking about 904 million dollars so really almost a billion dollars. If you take that cash payout. And remember there's also the powerball tomorrow night that's a lot of money to 640 million dollars there so a lot of security a lot of excitement. Here in Atlanta Georgia for the Mega Millions drawing tonight and the powerful tomorrow night and I'll take either jackpot GO either one would be fine with me. 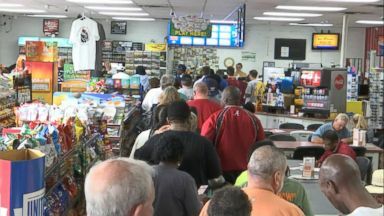 No winner was declared for the epic Mega Millions lottery, but 15 people got close and have tickets worth $1 million. A group of California co-workers play the lottery on a whim won last month's $543 million Mega Millions jackpot.